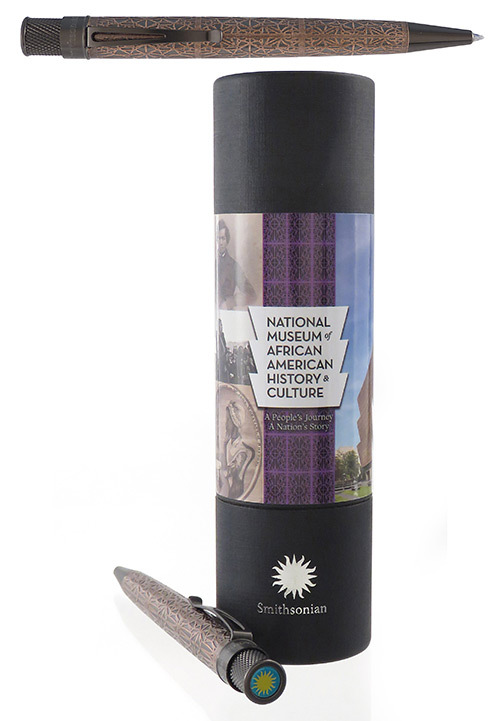 This first design in the Smithsonian collection with its deeply etched barrel is reminiscent of the ornamental bronze-colored metal lattice that covers the outside of the National Museum of African American History and Culture building in Washington D.C. The genuine shell barrels are made in stages to transform the rough seashells into a perfectly fitted piece that radiates color and iridescence. 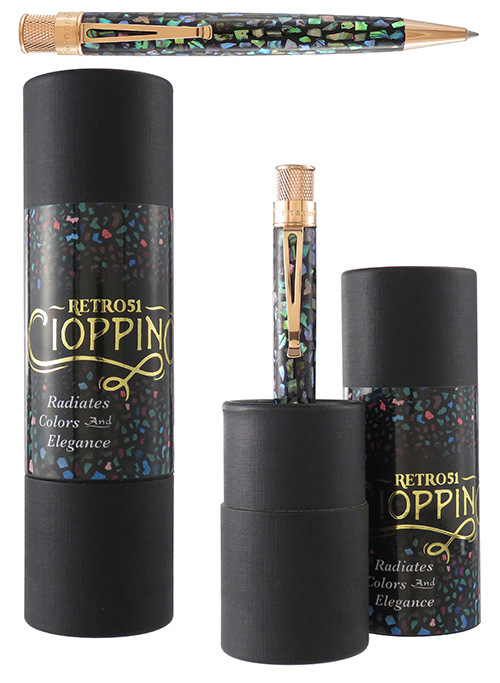 Retro 51 has captured the spirit of KISS with three rollerball designs that are sure to inspire your daily life. Bottoms up! Get into the creative spirit with the Speakeasy Tornado collection from Retro 51. 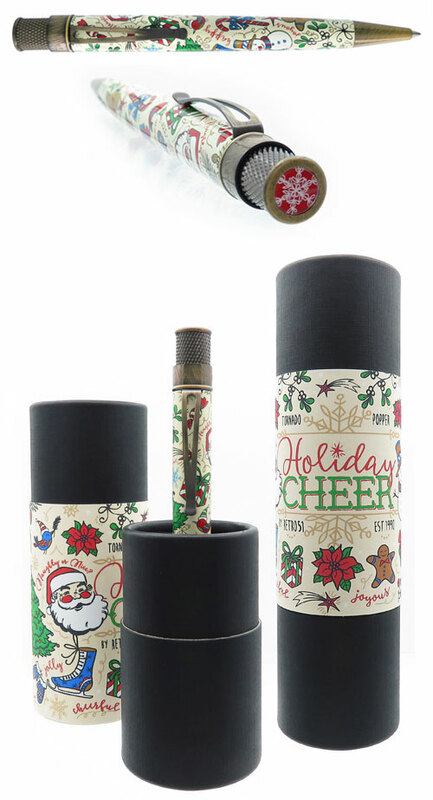 The retractable rollerballs are designed after popular beverage bottles and their distinctive labels: the refreshing Beer pilsner, a smooth Red Wine, or the potent Absinthe �la f�e verte� (the green fairy). 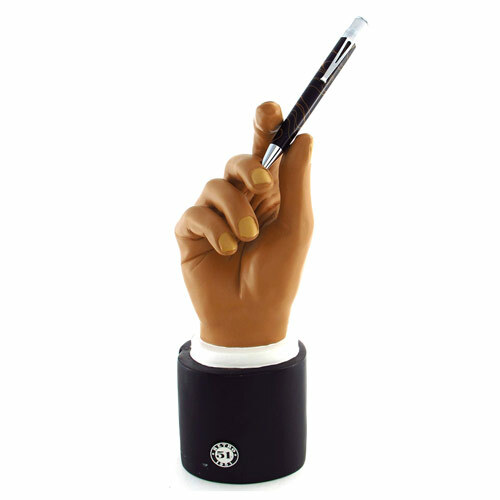 How about using a pen worth writing about? 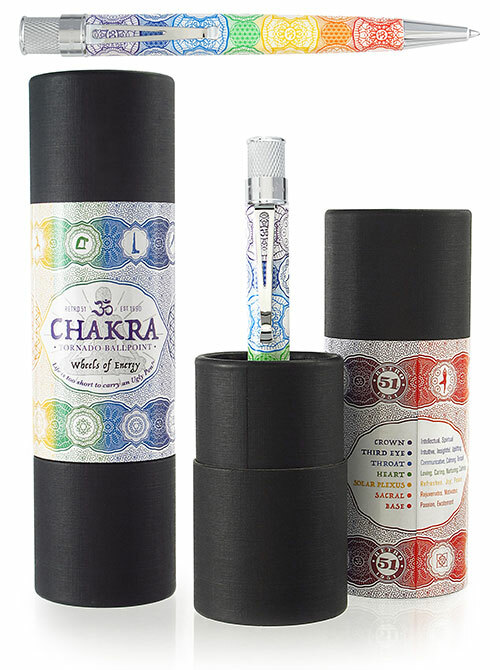 Sleek and elegant designs with printed graphics in a 1.15mm Mechanical Pencil. The sale of each Buzz Honeybee Rescue pen supports the efforts of NW Honeybee Habitat Restoration to save and replenish the threatened honeybee population. With each sale of a Dog or Cat Rescue pen, a donation is made to Operation Kindness to help care for homeless dogs and cats until each is adopted into responsible forever homes. Retro 51 understands a puzzle-solvers special needs. 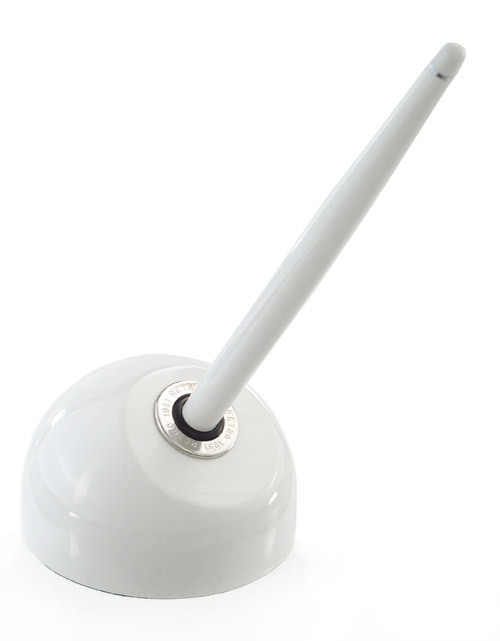 The pencil features a 1.15mm lead and under the top is an eraser to fix any mistakes. We can use an extra hand these days with all the multi-tasking that we do! Perfect for adding a touch of class to your desk, for work or at a wedding.